This modern centre is situated within a sleek, glass building and features a wide range of facilities including; lounge areas, dedicated reception desk, high-speed internet and spacious meeting rooms all accessible 24-hours a day. This centre has everything a developing business requires to continue to expand. The office spaces are situated in the heart of Ravezies area within a prestigious urban area. The airport is easily accessible, a mere 20-minute drive away, and the centre is surrounded by an array of useful amenities. This is a highly sought-after solution owing to its strategic location. Equipped with the latest technology, this brand new building is strategically located between the region's well-known vineyards and the city centre, with easy access to both France and Spain. Each office has its own air conditioning for comfort, and there are support services on-hand, such as a multi-lingual management team, to help increase the efficiency of your business. In addition, there is 24-hour access and security, glass and wooden interior and high-speed Wi-Fi. Comprised of two adjoining structures including a converted and impressive stone manor house, this centre offers an original and charming working environment. A large amount of office spaces are available, many with exposed beams, stone walls and feature fireplaces as well as meeting rooms and additional storage space. The centre is situated within a vast, forested estate near to central Bordeaux, public transport and attractive vineyards. The an all-inclusive fee of this centre will enhance the efficiency of your business while ensuring you will operate in a comfortable environment throughout your occupancy. This centre features an impressive terrace area, fully furnished and well-designed offices, and fantastic views of the city. Within the space's immediate vicinity, you will find lots of eateries, hotels, cafes and other local amenities. Comfortable and efficient business centre located in Bordeaux only minutes from public transport and with easy access to the motorway to Paris. Offers 24 fully equipped and serviced offices. Here, you are provided with outstanding facilities that will enhance productivity and efficiency: administrative and IT support, copy and printing facilities, 24 hour access and security, shared internet, videoconferencing facilities, and company signage for an impressive, prestigious presence. The centre stands next to the Opéra National de Bordeaux- Grand-Théâtre. This cultured community also enjoys a shopping centre, which is directly opposite the centre! This centre offers views across a courtyard and square, and is highly accessible from all around. This centre benefits from an impressive stone entrance and wonderful circular staircase. This is an impressive building offering a range of suites in a superb location. There is a range of support services available, including a secretarial team, as well as access to meeting rooms, high-speed internet and fitted kitchen. 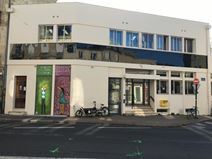 Offering 32 individual offices and office suites as well as two open spaces for coworking, this business centre also provides access to meeting rooms that can hold up to 30 people and benefits from a location close to the Place de la Bourse with the shuttle to Mérignac Airport and the TGV station stops on the doorstep of the building. The space offers tenants access to other fantastic amenities, such as videoconferencing facilities, a personalised telephone with a VOIP system, printing access and two car parks within the immediate vicinity. 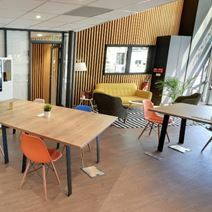 Offering a selection of office solutions, this modern business centre in the heart of Bordeaux provides a comfortable and contemporary work place. The building offers meeting rooms, seminar rooms and event space which can be used flexibly for a variety of events including meetings, training and workshops. The neighbourhood offers plenty of lodging options and retail including a variety of eateries and supermarkets. 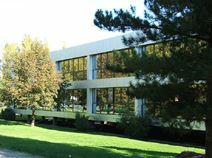 Situated between the city centre and the stunning lake in the northern part of the city, this building provides a range of amenities including meeting rooms with great facilities and very pleasant workspaces for tenants. There is also IT support and multilingual staff on site to ensure you stay well-connected at all times. Within the immediate area, there are several government offices, which would give your business a strategic presence with a prestigious address.